Are you willing to pay a price of growing? Today is December 16, 2017. My name is Joshua Blessed. I am a man of יהוה / Yahweh, who lives by the spirit of יהוה / Yahweh. And I made this testimony to encourage you, to live by the spirit of יהוה / Yahweh also. Because only those, how are lead by the spirit of יהוה / Yahweh, are the children of יהוה / Yahweh. Here is the heavenly truth which I shared many times, but I will do it again and again; that you may inherit the kingdom of heaven. The first step, you must be born from above by יהוה / Yahweh. Than His holy spirit shall teach you and guide you into all truth. Not books, not church, not synagogue not a mosque or whatsoever, but His holy spirit shall teach you and guide you into all the truth. As soon as you born from above by Him, His holy spirit shall teach you and you need to be obedience to the holy spirit. If holy spirit rebuke you chastise you correct you.You need to repent of your wickedness of your lies. Forsake the lies, love the truth and bear the fruits of righteousness. Which is mean, as soon as the holy spirit revealed to you something; you need to follow this truth, speak the truth, reject the lies and no longer is speaks lies and no longer to follow the lies. It is an Elementary School foundation. This is like, if you are willing to grow and if you are willing to graduate from an Elementary to Middle School, you need to pass a test. If you are not successfully passed the Elementary School test; you will never grow, you will never go to Middle School. Then from a Middle School to a High School, you need to pass a test again. You need to graduate successfully; you need to repent of your lies, you need to grow by spiritually what is the spirit of יהוה / Yahweh has revealed to you. You need to reject a lie, you need to speak a lie no more, you need to stop following the lies. And I would to share with you just a simple an Elementary School level lessons; If you will reject the lies and follow the truth, then you will grow. But remember; You cannot grow by mine testimonies, you cannot grow by anyone testimonies, you cannot grow by mine teaching. You need His holy spirit, only by His holy spirit, you will grow. Only by the power of the holy spirit you will reject a lie and accept the truth, forsake the lies and follow the truth. So, here is the basic wich יהוה / Yahweh is revealed to me and taught me and cause me to forsake, repent of my lies and no longer speak lies no longer follow lies, but follow the truth. And as soon as the holy spirit saw that I am willing to follow the truth then He feeds me more and more. And He revealed to me more and more, and He taught me more and more and He still teaches me more and more. Do you know why? Because I am willing to repent of lies which I had inherited from this world. Watch! I am willing to forsake lies and speak lies no more and follow the truth. How about you? Are you are willing to grow? 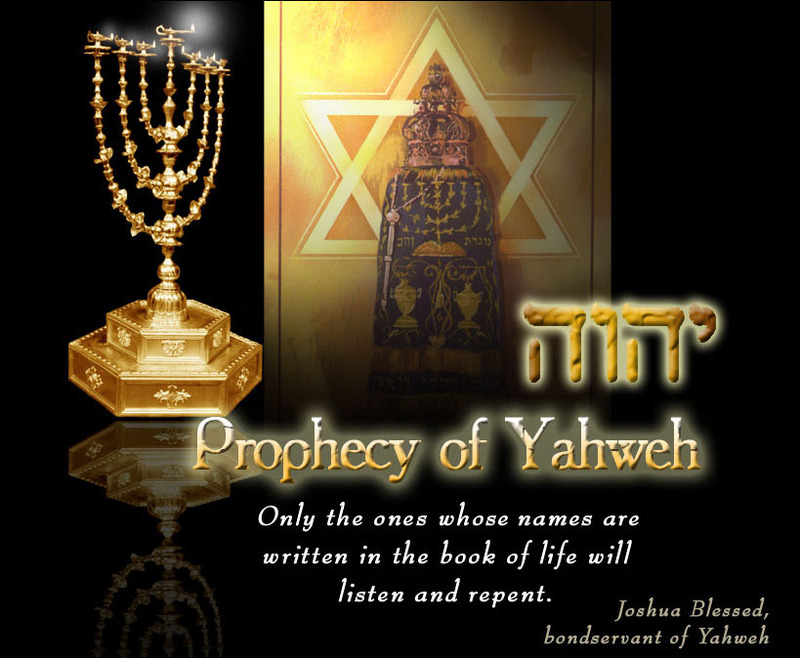 Here is the simple test; Do you know that the Messiah name is יהושע / Yahshua? Wich mean יהוה / Yahweh is ישוע / yeshua in a Hebrew? He has never been called Jesus, Iesus or Isa. Its pagan name for pagan gods. Are you are willing to repent of your lies that you, that you may grow? Here is the second an Elementary School truth;He never died on Friday and rose on Sunday. Its a lie. Are you are willing to repent of your lies? And follow and speak no more lies? But follow the truth? Here is the truth; the Messiah died on Wednesday and rose on Shabbath day! How about another truth; the Messiah never was born on December 25th. Are you are willing to reject, repent of your lies and follow no more and speak no more, Because the Messiah was born in a September-October, on the feast of Sukkot. Are you willing to follow the truth? Are you willing to grow? Remember, if you will not reject if you will not repent of your lies you cannot grow. You will die as a fool, you will die in your lies. There are many things which the holy spirit is revealed to me, and taught me and still teach me. Do you know why? Because I’m willing. How can I be willing? it’s very simple; You just repent, and the holy spirit will take you over. He will rebuke you, chastise you, correct you, guide you and lead you into the heavenly truth. But you need to repent of foundations. This is a small things. And you may say, ” How can I repent ?” Yes, none of us can repent, because repentance is from heaven.You need to seek the face of יהוה / Yahweh. Because repentance is not from you, it’s not from me, it’s heavenly, it is from heaven. You need to seek the face of יהוה / Yahweh! To get a heavenly repentance of your wickedness, of your sins,.. Your repentance cannot save you, cannot deliver you from your sins; It’s called > Self Repentance it’s not working,..No it’s not working… You need a heavenly. Heavenly repentance is working; I ‘m a fruit of heavenly repentance! Yes, I suffer a persecution, hatred, people seek to kill me. It’s good. Do you know why? It’s fruits of righteousness because I follow the steps of the Messiah. This world did to the Messiah, same things they will do it to me today. Are you willing to pay a price to grow? Ah,.. If you are not willing, then you will never grow. You will die as a fool.? Do you think that the kingdom of heaven is for fools or for the wise? I hope,..I’m express myself is very simple. And I hope, you understand what I mean. But if not, it is because you are not appointed for life everlasting. Go back to the world and live as a Devil, live as a fool,… soon you shall see your end… Amen.